Who's your most hated celebrity? It's not a nice thought and Star magazine's poll is a bit brutal for our liking, but they've decided to count down the 20 most hated celebs in Hollywood. Do you agree with the results? It's not a great week for Gwyneth Paltrow and Kristen Stewart. The US stars have been voted first and second respectively in Star magazine's annual poll of the 20 most irritating personalities in film, music and television. ​It seems the release of Gwyneth's recent clean-living cookery book has rubbed a lot of people up the wrong way and even her marriage to much-loved Coldplay frontman Chris Martin wasn't enough to keep her off the top spot. Twilight actress Kristen Stewart came a close second after a disastrous 12 months that saw her hit the headlines for cheating on long-term boyfriend Robert Pattinson with her Snow White And The Huntsman director Rupert Sanders. Kristen's apparent inability to smile could be another reason the 23-year-old is considered irritating. Third place in the slightly mean poll went to Jennifer Lopez - who's dating younger man Casper Smart after her split from Marc Anthony - and "womaniser" John Mayer came fourth. Completing the top five, for some reason, was actress Katherine Heigl. US TV journalist Matt Lauer came in sixth, while Madonna was seventh. Justin Bieber - who's had an awful few months amid accusations of assault and animal cruelty - was lucky to escape with eighth spot, while Oscar winner Anne Hathaway took ninth. Kris Jenner came in 10th, while her daughter Kim Kardashian sits just below her in 11th. Other names that feature include Angelina Jolie at 15th, Lindsay Lohan at 16th and serial dater Taylor Swift placed 18th. Shockingly, though, Chris Brown - who's back with Rihanna after he beat her black and blue in 2009 - only came in at number 20. 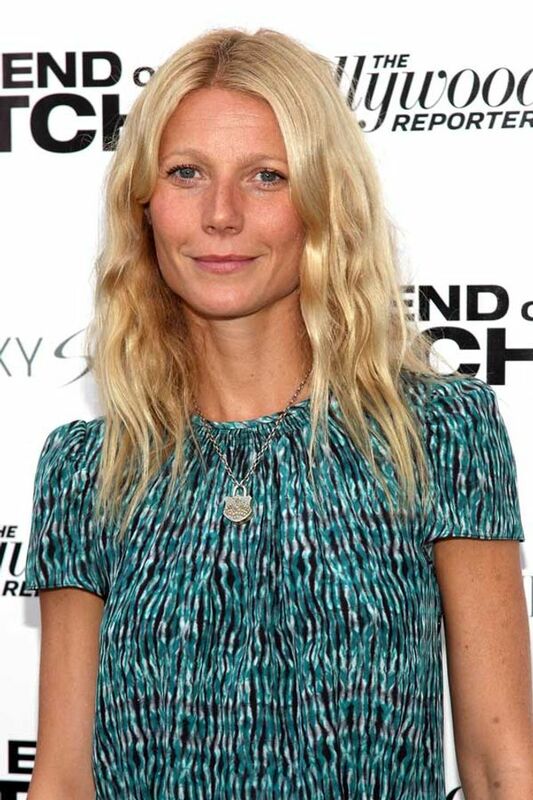 Gwyneth came under fire recently when she revealed in her cookbook It's All Good that no-one in her family eats carbohydrates - even her two children, Moses, seven, and Apple, eight. TV doctor Dr. Mehmet decided to confront the actress about her kids' strict diets and she insisted she's not strict all the time. Gwyneth, 40, said: "It's actually not true, they're not on an elimination diet at all. "What it is, is that my son has very bad eczema and he's allergic to gluten and allergic to cow dairy. "I try at home to make everything gluten free for him as the difference in his comfort is unbelievable when he's sticking to what he's meant to be eating." She added with a laugh: "I don't know where they get some of this stuff! ​"They say I don't give my kids carbs and I like feeding them seaweed. But they eat Oreos too, they're normal kids!"